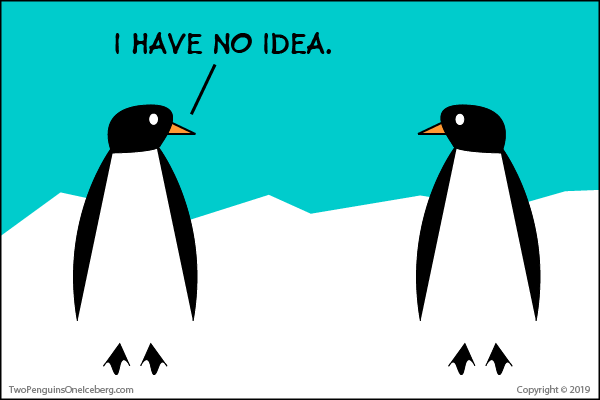 That’s right folks, the Two Penguins are back! 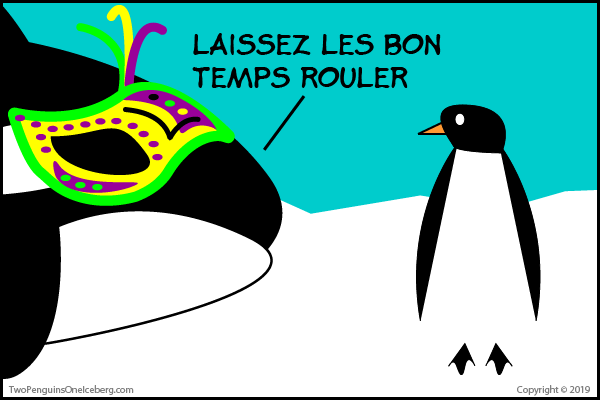 And what a better day to start things back up and let the good times roll, but on Fat Tuesday! 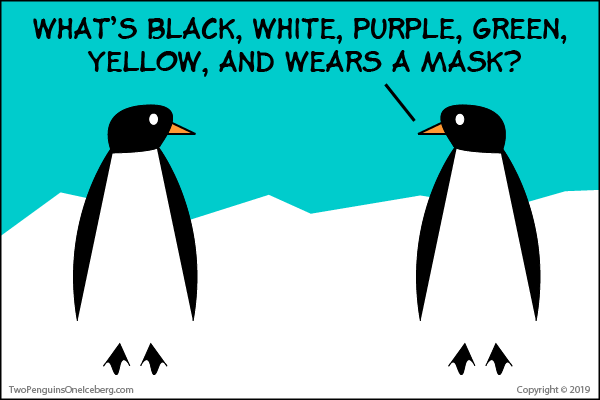 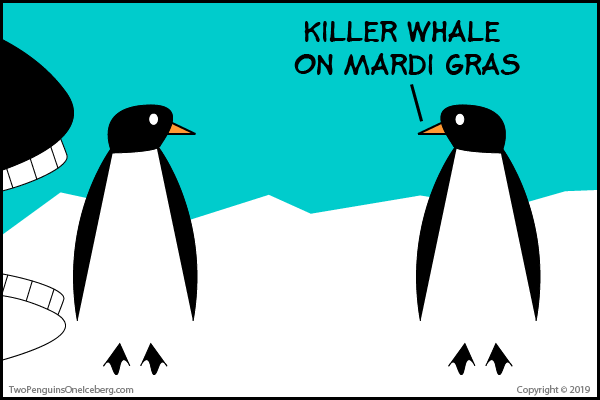 So grab some King Cake, pour yourself a Sazerac, and shout, “Throw me something, mister!” The Penguins don’t have any beads for you, but Mardi Gras marks the start of at least 40 more days of poorly illustrated irony, snark, anti-humor, bad puns, political punditry, and penguin jokes.